My wife (Catherine) and I had a few lessons with SImon last week – loved it. Simon was a total legend. We went off-piste a bit with him and he took some videos on his phone of us ‘making fresh tracks’. My wife Annie and I would like to record our thanks to Fred for an excellent 3 day course last week. We have recommended him and the course to our son in law who will be there in March. Many thanks again. Hi Simon and Ben, Just thought I’d let you know both Mandy and I very much enjoyed and learnt a lot from our snowboard and ski lessons we had. I will have no hesitation in recommending Ultimate Snowsports to any friends who go to Tignes. I took part in the All mountain course provided by Ultimate Snowsports in Tignes, a three-day course initially then joining another group for a further 2 days. There was only a small group of us on each occasion, which ensured maximum benefit from instruction. Both instructors, Caroline and Ben, were excellent, giving individual guidance clearly and succinctly and happy to take questions. Caroline helped me get rid of a number of long-standing flaws in basic technique which previous instruction hadn’t resolved, and both instructors helped introduce new skiing styles to help cope with different conditions and challenges. They were both active in presenting challenging situations safely to develop individual skills. I cannot recommend them both and Ultimate more highly. I thought I’d give you some feedback on the session we had with you last week. My daughter Rosie (22), her friend Pip, my wife Mandy & I all went skiing in Tignes on an All Mountain course. Rosie & Pip had done very little off-piste before. Floss was our guide/instructor and we can’t praise her highly enough. Always full of enthusiasm and great stories Floss challenged us all to do more than we thought we could. She took us on some excellent tours and adventures whilst giving gentle suggestions and pointers to help you improve. Floss was full of knowledge and experience and is clearly a high achiever although she is very modest about what she has done. When there were moments of temporary fear or crises of confidence Floss handled the situation with great skill. She really made our holiday and, as Rosie said, it was like having another mate with you. I can’t recommend Floss highly enough. All the best. Dear India (and the team) Just to let you know I have completed a review for Ultimate Snowsports on Trip Advisor. We also wanted to say a very big thank you to Simon. The boys thoroughly enjoyed the experience of private lessons this year. They particularly enjoyed the snow boarding – we were amazed at their progress in such a short time under Simon’s excellent tuition. The boys were encouraged by his patience and enthusiasm. Both my husband John and I feel that the boys love of snowsports is a credit to all the fun they have had in ski school with Ultimate Snowsports over the last six years I anticipate we will be coming to Tignes next year again – James is very determined and in his mind there is no other option for ski school than Ultimate Snowsports. Best wishes for the rest of the season . Please find attached a couple of photos of the boys and Simon that I said I would forward to you. Thank you for your email. We had an absolutely fantastic time and Floss was brilliant! We hope to return to Tignes for Christmas. All the best. We wanted to thank the team for the excellent lessons we enjoyed last week. Alex, Elliot and my wife Claire each enjoyed their lessons with Floss, Tom and Fred so much and wanted to thank each of them for making their trip all the better through their excellent and patient teaching. The boys loved their time so much and can’t wait to come back again next year. Thanks for everything. floss was brilliant with the kids – they had a great time with her and learned loads. Kevin and I would like to thank Caroline for two excellent ski lessons. We found them very helpful and felt we were more in control as a result of her advice. We wouldn’t hesitate to recommend your company to others and wish you every success in the future. Just wanted to say a massive thank you to Simon for my advanced snowboarding lessons this week! I learnt a huge amount and he basically let us decide what we wanted to work on, giving lots of useful tips and things to work on in the afternoon. I was especially grateful to him for the 2 hour private lesson when one of the others dropped out with a hangover! I know a lot of others would have shortened it to 1 hour but I learnt a HUGE amount in that one morning! I will definitely recommend you to friends going to Tignes and may look you up again in the future myself. Just a wee message to say that we enjoyed the lessons with Tom very much indeed. Our ski-ing has improved! I can see the difference in John’s ski-ing – some bad habits of long standing are at last becoming a thing of the past and his confidence was much better. India Important message for Ben, can you let him know that I did the black today? I have had an amazing holiday. Tom is such a great instructor, lovely guy too. Please pass on my thanks. This is my first ever skiing trip, did the green runs yesterday and today did some blue runs and accidentally did a red run. I’m still alive lol!! Thanks again, great service from you all. Just a quick note to say thanks yet again to Caroline for more brilliant lessons. The clarity of her explanations and demonstrations means that real progression was easy. She is truly confidence-inspiring; going off-piste in fresh powder for the first time was one of the most exciting things I’ve ever done in my life, and the aplomb with which I (and my equally ancient skiing partner) ski blacks actually elicited compliments from my extremely critical 22 year old resident-in-Tignes son. Simon – thanks for the time with Lucas and Isaac today and yesterday. They feel much more confident about jumps and have come on. We have just come back from our skiing trip in Tignes, it has been a great trip and thanks for assigning your wonderful instructor Floss to us. Ben was very right in recommending us to have private lessons, it’s a much better experience comparing to the group lessons we had before in somewhere else. We felt we learnt more in our private lessons, and in the same time felt much more relax. Floss has been very helpful and friendly, every drill she did with us improved our understanding in skiing. Although it’s her first season in Tignes, she seems to know the mountain well and give good suggestions on where to go and whether the condition on a particular run suits our level. It has been a very pleasant skiing experience for both my husband and myself, and we would definitely recommend Floss and Ultimate Snowsports to our friends. Hello Matt, Just wanted to say thanks for the lessons for Ben, Gemma, Amy and Becca before Easter. Ben and Gemma had a fantastic week and really enjoyed thier lessons with you. All 4 children really enjoyed the lessons, their skiing and confidence on the snow improved massively over the week, and it made a big difference to them to be able to share a sense of humour with you. If/when we are back in Tignes we will certainly book lessons with you again. For us personally, thank you very much for your flexibility, it made a big difference being able to vary our meeting points. You will be pleased to hear that Ben and Gemma tried their first real little bit of off-piste on the last day when Dave and I took them down from Toviere to Val Claret by traversing out from the corner where Tommeuses starts, Gemma was completely blown away and both really enjoyed it – just a taste of things to come, we hope!I was going to send a penguin joke, but suspect you may already have heard them all! I hope all goes well with the wedding, and that you manage at least a few more seasons in the snow. 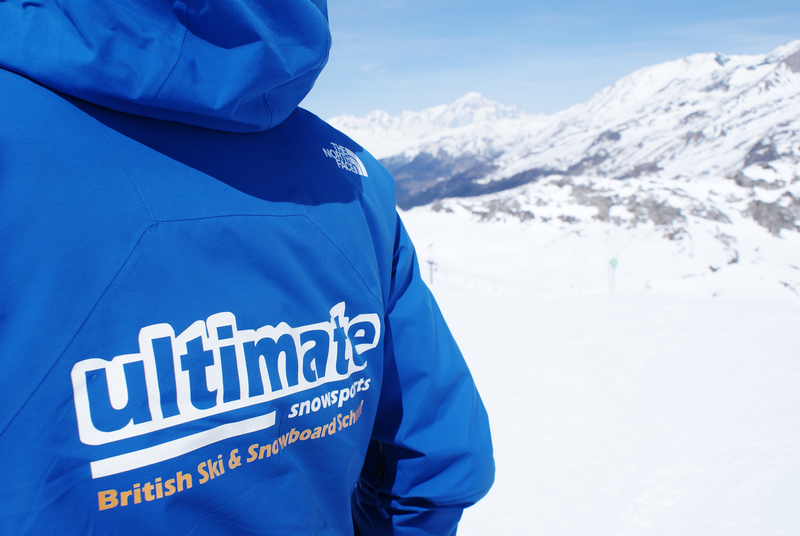 We will definitely recommend Ultimate Snowsports to anyone we know skiing in Tignes. Hopefully out ourselves next February – perhaps better off-piste for the grown-ups! A big thank you to Simon for last week. Rosie and Jamie were beginning to feel a bit too old to “go to school” but they had a fantastic time, had their capabilities stretched and did a bunch of things we could never have done with them. And of course they had a great deal of fun. As we sat on the chairlifts watching ESF troops coming down the slope we were shocked by some of the numbers. We saw one ESF group with one instructor and 19 children. Your commitment to small classes is to be applauded. I was also hesitant about booking an English ski school. It was the first time we had done this and I have to say it really helped. There are none of the hit and miss communication issues which can arise with some French instructors. I think the kids might want to come back! Ben/Caroline, just a quick mail to say thank you so much for the lessons last week in Tignes, they were superb. I felt as if I made so much progress and gained a lot of confidence. You are both great, ever so patient but also moved me quickly on to the next steps. Hello all, Just a quick note to express our thanks for the fantastic lessons last week. We learned absolutely masses and had so much fun. Caroline was brilliant at spotting what we were doing wrong and giving us ways to get better, with the result that friends we had skied with last year said Deborah and I were completely different skiers. Hi, I just wanted to pass on my thanks for the good standard of service that I received from Ultimate Snowsports. My friend Rachel and I took ski lessons in Tignes in w/c 5th March. We initially booked beginner level 3 lessons but we realised this exceeded our ability and instructors were very flexible in letting us drop down to the level one lessons. Our instructor for the rest of the time was Fred who I felt did an excellent job. As well as being personable and friendly, he had the right mix of pushing us so that we progressed but also making sure we were all at a good enough level to try the next challenge. Hi All, Having just returned from our holiday in Tignes I would like to thank you all, impractically Matt and Simon for their excellent tuition and guiding. As seasoned skiers my wife and I often find it difficult to strike a balance between formal lessons and off piste guiding. Matt and Simon got this spot on and we enjoyed every minute of our sessions whilst in Tignes. Learning from subtle (at times) critique of our technique we both found things to work on to make us better skiers and understand the off-piste environment to a higher level. I will be recommending Ultimate Snowsports to friends and colleagues alike and will hopefully be requiring your services next year. (if not before if there are late dumps of powder).  Rachel, A quick note to provide some positive feedback on our skiing lesson with Caroline last week.Very impressed by what we learned in the two hours – we both noticed a significant improvement in our skiing for the remainder of the week. It had been a few years since we’d both had lessons, and we hadn’t realised the bad habits we’d picked up. Caroline provided excellent advice on improving our technique, explaining all the different elements clearly and in a well-structured manner – a huge contrast to a private lesson I had a few years ago which erred towards the ‘guided skiing’ model.We both greatly enjoyed the lesson, and look forward to using your services again when we next come back to the area. Dear Ultimate, I just wanted to say thank you for the great instruction my family received in Tignes last week. My brother in law and I had a fantastic 3 hour private lesson with Simon as did my 3.5 year old son who learnt more in 1 hour than he did in 6 hours of group lessons. Simon literally has the patient of a saint. I took my son skiing the next day and he asked me “where the ski man was” and was disappointed that he was teaching others. Beth (my wife) and I also had a private lesson with Matt and if only she would listen to my instructions and act upon them as intently as she did for those 2 hours I would be a very happy man. Hi all, Just wanted to say a huge thank you to Caroline & Simon for 4 fantastic ski lessons at half term. We will definately be booking you next year. Hi Rachel, I just wanted to email you to pass on my thanks and appreciation for my lessons last week with Fred. I was very nervous about skiing again, especially as I had a nasty fall last season and was unable to ski for the rest of that holiday. Fred was brilliant – he was patient and understanding and really boosted my confidence. To the extent that I skied a short red run for the first time! My boyfriend and friends we were skiing with commented on the increase in my confidence and how my skiing has improved. So just wanted to say thank you to Fred (and you for organising for me to ski with him). Really had a great week and feel that my skiing has improved. We are already talking about coming back to Tignes in 2013 so I will be in touch later this year to arrange more lessons with Fred next year. Just a short thank you to Ben.Giving a customer feedback is not the thing I normally do but I was so pleased with the 2hr private lesson that I had with Ben, to introduce me to carving, that I felt I wanted to.By the end of the 2hrs I was beginning, though erratically, to link carved turns which felt awesome.However the following day I put into practice all the tricks/tools that Ben had given me and by the end of the day I was linking my turns on blue and red runs.I had a smile on my face all day! Just a quick note on behalf of Jack & Leo (and Sarah and Ben) who were White Wizards with Ben last week and had a brilliant time in Tignes.Special thanks to Ben for his infinite patience and understanding with them – he was fab! !Hoping to be back in Tignes again soon.With best wishes for 202012, and hope the snow stays great! Hi Matt, Just like to thanks to you guys and a massive thanks to Fred for an awesome days ski lesson on Wednesday. Me and my wife had a real fun day and Fred is a great instructor. Will be sure to give you guys a shout if we head back over to Tignes for some more lessons. The lessons John and I had with Shaun were excellent – we both learned a lot and were much better able to cope with the conditions. We even enjoyed the slush! Hi Ultimate, Many thanks once again for a great week’s skiing with Hannah, Isobel and Monica. Just note to say thanks for the lessons on 31/11 and 1/11. Thanks to the tips I finally managed to ride a mogul run the way I wanted to on the Friday afternoon (much to the detriment of my knees after then repeating it all afternoon). Specifically, learning to properly pressure control the skis/rotate them under me let me turn between the bumps with plenty of control and time. The suggestion to take the path that water would flow through made the correct line appear obvious. It was an amazing transformation in such a short space of time. I couldn’t believe it when it just happened on the paramecou run & just seemed to flow between them. Still needs a lot of practice but a real step change in capability! Hello Sam, thank you so much for the Easter Ski lessons, the children had a fantastic time and enjoyed every minute and it seemed to work out really well with them all in the one group. (although it did resemble a “ski cross” with Jamie, Finlay and Frances racing to be first down). Initially we were really worried that there wouldn’t be enough snow and we appreciate the time you and Greg took to get them all up to speed and then to take the children to decent slopes. We were delighted to see the children’s enthusiasm to get up, dressed and out every morning for ski lessons with you and Greg. (this was the first year without any tears in the mornings- only tears on the last day when they realised that was the last lesson). I’m not sure where we will ski next year, but if it is back over near 1850 we will definitely try to book for more lessons with you. Just a quick note to say thanks to Fred, Sean and your self for the help last week. Hi Krishna, just a wee note to say thanks for the lessons I had with Simon in Tignes last week – he was a great instructor and very patient when I was being a bit less than brave! The girls loved ski school – both are wearing their Ultimate t-shirts everywhere! Please thank Simon for the lessons that he gave our kids. It was a first for us to have the children begging for another lesson. Usually they hate lessons. We will highly recommend Ultimate Snowsports to anyone who asks. We found out about Ultimate through the english couple who were guests at La Tourne and then through the chalet hosts at Snowstar (they both highly recommended Ultimate). Fred Diblee was a great instructor. He was amiable, well organised, efficient and hard working. I do feel he improved the skiing of everyone on the course through his exercises and tuition. Fred was great, struck a good balance with a group of varying abilities and was just fun to be out with. i wasn’t that interested in improving my technique, but according to Tracy i don’t look quite as much like Mr Bean at the disco anymore. Picked up some good safety tips for dodgy slopes and the first decent basic transceiver instruction. Hi Fred, Thank you so much for all the work you have done with the Gap students, by all accounts they have had a fantastic week and a great start to their course. Superb lesson with Simon on Sunday – both Ailsa and I really enjoyed it and learnt so much – see you again next time we’re in Tignes! Dear Sam, Just a quick note to thank you from Tracy & myself for our most excellent lessons & for being so patient. The family commented that our skiing had improved a couple of notches. We had an excellent week which finished with a high due to our evening at the refuge………..I’m sure you could tell every body from the 8 year olds to the 70 year olds had a brill time, even the teenagers lifted their heads up from their i-phones, a miracle in it self !!!!! Sam, Thanks again for a really good week, the kids enjoyed their lessons more than I can recall them ever doing so before, so you must be doing it right! 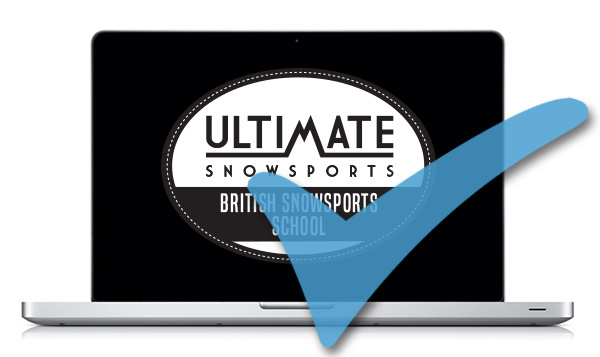 Just wanted to give a big thumbs up to Ultimate Snowsports, British ski school in 3 valleys and Tignes. Our party had 9 kids (ages 3-9) with them last week in La Tania and they were superb. Top quality, reasonably priced instruction and fantastic child management skills. They are all young and very cool and the kids loved them. Lots of fun explanations of technique (spraying snow, big toe, little toe etc), lots of speed, lots of park, tricks, trees, jumps etc. Absolutely spot on! Please send our thanks to Sam and Lee- I did mean to see them on the last day- but didn’t get back in time to pick up the children. Frances really enjoyed her lessons with Lee- who was great fun and patient with chatty girls. I hear Sam was also popular with the little ones. Both were very good with young children and had such an enthusiastic manner which overcame reservations that our daughter had about ski school. Hot Chocolate up the mountain was vey popular- Frances even demanded we go for a coffee when I took her out on the last afternoon. I will recommend them to anyone coming to La Tania or Courchevel. It made our holiday a great success knowing that all of the children were happy in ski school and keen to ski in the afternoons with us. Many thanks to both Sam and Lee. We had a fantastic holiday thanks in part to a great instructor who got us back on our feet and skiing our hearts out in no time!! We will be recommending you in the future. We all had a great time last week. The kids enjoyed the lessons with Simon. Thanks Kirsty, the lessons were great and we all skied stuff we wouldn’t have tried without Simon’s help. Please pass on my thanks to him he made our holiday…. Once again a huge thank you to you all for all your efforts last week. Your flexibility in adding in all our extra lessons was so appreciated as we were getting so much out of them. Sean’s ability to put across the techniques and inspire confidence is absolutely amazing and we feel that we improved so much in the week, including our first BLACK runs. The kids thought Simon was fantastic loved all their lessons and again came on loads this year. Ben’s hard work with the little ones paid off as to see them on button lifts and skiing for the first time at 3 was fantastic. We will recommend to all that are heading to Tignes as a first rate ski school. Wishing you all the best and for Ultimate Snowsports to grow and prosper. Just wanted so say a very big THANK YOU to Simon and Ben for your tuition last week. Evan has amazed us with how well he picked it up and that it down to Ben and his patience and stamina!!!! 3 kids under 4 for lessons must be your worst nightmare. He wanted to carry on after his lessons too which shows how much he enjoyed it. Gilen just loved every minute of his lessons with Simon and we could see a great improvement in his skiing. Next year it’s Snowboarding for him now he has mastered the parallel turns and skiing backwards!!! We had such a bad experience last year with lessons in La Rossiere that we were worried about this years. We needn’t have been as you were all fantastic and accommodating even in the ridiculous weather that Tignes threw at us. Thanks once again we will recommend you to everyone we know who ski’s. Thanks once again to all at ultimate snowsports especially Matt. The boys and Kevin really benefited from their lessons. We hope to be back with you again next year. Thank you for a great week. We have all enjoyed the lessons and learnt a lot. We all really appreciate your patience with us all; especially when it comes to off-piste. Thank you very, very much for looking after us so well – we all had a wonderful time, learnt a lot, and maybe improved a bit as well. The photos are just wonderful, I am sure that everyone will be very happy to see themselves, especially Wynne! Look forward to seeing you in March! Please could you give our thanks to Fred for giving William such a good week. He has been skiing twice a year for the past 5 years and has never had such a good time. He was determined that it was going to be a good idea to be able to talk in English to his instructor and also to fellow skiers. He loved every minute. I just wanted to send you a note to say a huge thank you for a great week! You have been an absolute star and coped very well with my ‘moments’ I’ve learned loads and laughed lots and you can’t ask for more than that! Hope to see you again next year! We were a group of three families of varying abilities and ages most of us skiing for the first time on snow. Sam met us at our accommodation in La Tania and spent the first day assessing individual’s abilities and having some fun with the kids while making sure they were safe on the snow. The younger children (ages 5,6 and 7) really took to Sam and we were amazed at how well they progressed over the first couple of days. Sam’s supervision of course). We would thoroughly recommend Ultimate Snowsports for skiers of all ability and you can even enjoy a little Apres ski listening to Sam’s dulcet tones after a long day on the slopes. Thanks Sam! Fred was a wonderful teacher – it made a real difference that we were instructed in English – Fred went the extra mile and gave everyone individual help where needed. Many thanks for a great week of lessons for Erin and Willow. Well done, I have no hesitation in recommending you to other families. Many thanks to you all for a great weeks skiing and lessons. But especially to Simon, Ben and Matt for their efforts with William, this was taken just after skiing the glacier on Friday afternoon!! He had a GREAT time. THANKS! Thank you so much to Sean… we had a fantastic week and thoroughly enjoyed our lesson. I hope the business continues to thrive. Just a quick message to say how much we enjoyed the ski lessons with Simon last week. He made them fun and was very patient when we got it wrong and praised us when we got it right, not an easy task with such a mixed group. Please pass on our thanks to him and best wishes. A very belated thank you for making our skiing holiday such a success. Angus and Philip had a great time – Philip is already talking about next year … and the year after! A massive THANK YOU from us and all the kids. The kids all had a great time, learnt loads and can’t wait to get back on the snow. Thanks also for the sun screen which they all lost (kids!) and the T shirts which they haven’t lost mainly because they haven’t taken them off yet! PS an extra thank you to Fred for showing the kids the crazy gulley run where we adults had to crawl through a hole to get out. Fantastic! Just wanted to say thanks again for all your help, encouragement & patience in my ski lessons over the last week. I can’t believe how much I have improved & more importantly gained some confidence in my skiing!, now I know the techniques I should be using to keep heading down the slopes in the right direction! Thanks to Fred for being such a great teacher for her week in the middle of January and for getting her off to such a great start on skis that she’s not only looking forward to next year…. I wouldn’t have had half as good a holiday without the lessons so thanks so much. Thanks Matt for a fantastic afternoon, even if it did make me realise how unfit I (Mike) am!! You seem to be doing really well and should all be very proud of your achievements. A BIG THANK YOU for such a fun week of skiing lessons with the Ultimate Snowsports team. Charles and James thoroughly enjoyed their week of lessons with you in the Green Goblins class. For the first time they really looked forward to ski lessons each morning and their progress this year surpassed all our expectations. James is looking forward to “fantastic friday” at his infants school this week when they celebrate pupil achievements. He is planning to take his certificate, window stickers and t-shirt into school to show in assembly. I really would recommend Ultimate Snowsports to anyone coming to Tignes – as well as the highest quality of teaching and lovely people, we couldn’t believe what good value it was – and we felt SO smug every time we went past one of the French ski schools with 15 people in a group!!!! You also made it really easy to book prior to us arriving in Tignes – who knew that boys who ski could be so organised?!?! Thank you for the great tuition that you gave me and Andy last week! We both feel that we have improved as a consequence of your help and the time we spent with you greatly added to the enjoyment of our holiday. We both wish you every success the with ski school and the chalet business and I hope that we’ll get the chance to meet up with you again some time in the not too distant future. You are a VERY good and VERY patient teacher!! Many thanks. I really enjoyed my lesson with Sean today – he’s an excellent teacher. Thanks for a fantastic week of lessons! Just wanted to send on our ‘Thank You’s’ to Ben and Fred for making our holiday enjoyable. George and Greg thoroughly enjoyed their lessons with Ben. Both boys said that Ben was understanding and patient and was fun to be with, they looked forward each day to their lessons. I was amazed how quickly they could pick up snowboarding in a few days and look competent on the slopes. thanks again for the lessons – although she won’t admit it, Carolyn is a much more confident skier! Just a quick e-mail to say a massive thank you for all you did to make our holiday fantastic. Helena, Amelia and Toni all enjoyed the lessons and we are all really chuffed at how well they did. We will be recommending you amongst our work friends who ski. Just wanted to drop you a line to say thanks for the lessons! Fred really helped bring on our skiing and was very patient, helpful and friendly, just what we wanted! I just wanted to drop you a short note to say thanks again for the great lessons given last week by Ultimate Snowsports to our children and also to the adults. We were all impressed with the progress the children made in the five days by attending the Red Ripper and Blue Bomber classes. Your positive reinforcement, teaching techniques, great communications skills and structuring the classes so that the children had fun all resulted in the children greatly advancing and gaining confidence in their skiing abilities. All the children commented that they want to take more lessons from Ultimate next year and that they all feel more confident and in control on the slopes. I just wanted to send a thank you to you both for ensuring that our holiday last week in Tignes was such a great success. The teenagers (Red Rippers) really enjoyed another year of lessons with you Sean, and I noticed a remarkable improvement this year in their skiing. The difference that you made to the younger children’s holiday was remarkable Matt (Blue Bombers). Last year they did not really enjoy their ski school at all, with a fairly grumpy instructor who gave us all the impression he’d rather be anywhere else! This year was completely different: They were looking forward to getting up and getting going in the morning, had a great time and their skiing came on leaps and bounds. Thanks very much guys. You do a really great job. I know it’s his first season with you guys, but Fred was a genuine success with Olivia & Lucas. They rate him the best teacher they’ve ever had, and the progress they made during the week was noticeable. Please pass on again our thanks to him. Just wanted to say a massive thank you to you and the guys for the lessons that we had last week, everyone really enjoyed them and got a lot out of them. Hope you guys have a brilliant night tonight and good luck with all your business adventures in the New Year. Ski touring with guide Matt in Val d’Isere and Tignes: Two great and memorable afternoons which made our holiday in March ’08. Skiing in deep powder in utterly untracked valleys in brilliant sunshine. Easy access, of the lifts and skinning for an hour or so. What more is there to life?! Joe’s (14) first touring experience which he says was “just brilliant, but not for the faint hearted!” Joe adds “Matt was very kind, understanding, helpful and stopped a lot, which was very welcome!” We highly recommend Matt and so get fit and go for it! Dear Matt, Simon & Sean, thank you for your receipt re our lessons with you during our stay in Tignes. Enjoyed the skiing and your tuition was very much appreciated. Just a note to thank you for the two great days on the piste last week. I enjoyed skiing ‘La Face’ – that is a phrase that I didn’t think I would ever use! I hope to see you again next year. Dear Ultimate Snowsports team, just like to contact you to compliment and thank you for the fantastic week skiing that our son enjoyed with Sean (7th-11th Apr 08). He is a fantastic instructor and all 4 children in our group considered him to be the best ski instructor they’ve had. A bigger compliment than you can imagine!!!!!! Would and will recommend all of you to anyone visiting Val or Tignes. Truly wonderful and thank you all (Sean in particular) very much indeed. See you next season! Looking through the pictures again reminds me what a great time we had and I wish I was out there now. Simon, thanks for being such a great guide – I really had a wicked time. Just a brief email to let you know how pleased I was with the lesson myself and my son, James, had with Simon on 18/3/08. There were a number of points that he not only demonstrated but took the time to explain the physics around the manoeuvre. We both took a lot away from the lesson and absorbed more than I anticipated, my son in particular excelled through the remainder of our time in Val D’Isere. Had the weather stayed as good as the day we had the lesson then I would have booked another. Should I return in the next few years, I will not hesitate to be in touch. Thank you Sam: I would just like to say that we have been going to Courchevel for many years now and have swapped and changed between French Instructors for myself, my wife and our four children and have never felt totally comfortable with any of them. I then contacted Ultimate Snowsports through a friend of mine and used one of their instructors for the kids for the whole week and can thoroughly recommend them. The children came on leaps and bounds in terms of technical ability and loved the fact the teacher was English and also young so they could have a laugh whilst learning. Anyway we will certainly be using them again next year as I don’t think the kids could have as much fun with any other school. I wanted to thank you for arranging at such short notice an instructor for our stay in Courchevel. We had a fabulous time with Lee. He was great company and kept me and the children motivated to ski hard for the week. He managed to balance the needs of my 12 year old and me with great expertise (no easy task when one is a speed monster and the other a cautious Mum), plus still had the resources to incorporate my 3 year old into the fun. He also was thorough, organised and accommodating, plus a great ski instructor. Lee’s talents coupled with possibly the best skiing conditions I have experienced in France made the holiday a memorable one. Having spent a week in Courchevel in 2007, we knew we had to return in 2008. As novice skiers, Sam had shown considerable patience and, very importantly for us, made the whole instruction process great fun! We therefore wanted more of the same in 2008 – we were not disappointed. Sam has a great sense of humour and an understanding of what people want. He’s a skilled instructor who varies the exercises and routines until he finds something that works – different things work for different people! At the end of the week we felt that our skiing had progressed enormously but it hadn’t been a slog….it had been another week of great fun (and that was important). I know it’s a cliche, but “we’ll be back”! We all agreed that Sam was a great instructor. We were a family of absolute beginners and ended the week happy and safe on the slopes! Sam ensured we got the basics right and he always made time when one of us needed extra help or a confidence boost. Sam’s energy and enthusiasm made our introduction to skiing great fun.  Thanks for the email. Please pass on my thanks to Sean from both myself and my daughter Charlotte. He is a brilliant instructor and coped admirably with my nerves! He also got Charlotte the grumpy 16 year old to enjoy skiing again which is great! I will be recommending you to friends and colleagues! Hi Matt, We just wanted to thank you again for a great week of ski lessons for Ethan and Elliott last week. We are delighted with their progress and this is solely to do with your skill and patience with them both. We are looking forward to seeing you again in December and good luck for the remaining season. Thank you Sean, the girls had a great time in ski school. Hi Matt & Simon, We got home safely yesterday afternoon. We would all like to thank you for the terrific instruction that you gave us over the week. Jackie’s confidence and skiing has come on so much that she is even looking forward to going up to the Snowdome (which is a first). Anna is talking about doing blacks and everyone she meets gets told that she has done a red. We’ll be back next year, hopefully the same week, just sorting out the best price and then I will be in touch to book some more lessons. Hope the season goes well for you, I would happily recommend your services to anyone. Sean, Matt & Simon Thanks for the great instruction for all the kids last week they have taken their certificates into school to show off so your name is spreading! See you next year! Matt & Simon; Just wanted to say many thanks for my lessons last week – definitely the best week of lessons I’ve ever had! Thanks for your patience. I thought I would drop you a short email to say many thanks for booking my lessons, and obviously a huge thanks to Sean for his patience and guidance which was thoroughly appreciated. My wife and I felt that we learnt a lot more than we have on any other lessons we have had and were given the confidence to try more difficult runs that we have ever thought possible, including skiing the Black run “Face” to Val D’Isere, which for only our second year of skiing was a great achievement!!!! Thank you for our receipt. We would love to know about Ultimate snow sports in the future. Simon was a great instructor! Sean, thanks, was great and I was a much better skier on Friday!!! Thanks guys for a great week, the kids really enjoyed themselves. Scott and Katy really enjoyed their lessons with Sean and Matt, thought they might like this photo. Thanks for being 2 great lads giving the Brits a positive image abroad. Thanks again for bringing the best skiing out of our children. Thanks for the reply Matt, really efficient!! Really enjoyed the lessons and anticipate the biggest problem next year is managing to find some availability with you as you will all be booked out if you carry on the way you are going. Simon, just wanted to thank you again for your endless patience this week. I had a huge mental mountain to climb before I could attempt to ski down one. You got the balance just right, pushing me far enough to build up my confidence without terrifying me in the process. I really appreciate the effort you put into teaching me. Emotions went from sheer terror at the start of the week to actually enjoying it. I’ll definitely be keeping it up now. Good luck to all of you with the rest of the season. Thank you so much for the lesson Matt, it was amazing and I thoroughly enjoyed it. Will definitely give it another go sometime in the future. Matt, thanks for you lessons. They really helped me progress. Just have to remember all the points for next year! Dear Simon & Matt, Just wanted to say what a fantastic week we had. All of us enjoyed our lessons with you and still can’t believe we went down a black run! Suzie and Dominic have said it’s the best skiing holiday we’ve had, so I think it will be Tignes again next year. Thanks Simon for your patience with me and the confidence you have given Suzie. Hi guys, Just wanted to say thanks so much for another fantastic week. Georgia and Josh enjoyed every minute of it and we can’t believe how much they have improved again – a real credit to all of you. The only complaint we have is they won’t stop singing – thanks Sam!!!! Will be back again in Feb so will contact you nearer the time for some more lessons! Hi Matt, just a quick not to say thank you for facilitating the ski lessons at such short notice. Simon was absolutely brilliant and by far the best instructor I’ve had. He ticked all the boxes for me, just wish he could have been coaching me for the entire trip!!!! My children, Pearce and Kiran also thought Simon was great and they were pretty impressive with their skiing backwards after their lessons!!! Will book again, definitely. Pleas pass on my gratitude and appreciation to Simon also – he really was great. Hi Matt & Simon, I just wanted to say thank you for making the lessons for the boys, Don & myself enjoyable. the boys had a great time with Simon and really progressed – especially Tom! Matt – thank you for your patience with me – I know I was not an easy student!! However, I came away feeling much more confident, feeling that I can actually ski now, and ready for next year’s challenge – which is to speed up a bit! Sean, just a note to say a very big thank you for the fantastic lessons last week in Tignes. I can honestly say they were the best lessons I have ever had. With your guidance, help and encouragement, I achieved my goal of being able to ski a red before going home, it was the highlight of my week, skiing down the deserted ‘Face’ was brilliant and then down into Val Claret on Double M.
Hi Matt, just a short mail to say a personal “THANK YOU VERY MUCH” for your time spent with Annie and Daniel last week. Annie’s overall skiing and posture as captured on video at the end of the week showed a marked improvement and certainly enable her to enjoy the more difficult conditions (even the White out at the top of the funicular – perverse! But that’s women for ya) to a greater benefit to all. Especially my ears!! Gratitude! Gratitude! Gratitude! Daniel? Well. A different child to last year. Confidence totally regained and more. He absolutely loved every minute of it. Well thanks again we have voted you the best ski school we have come across and will certainly use you again should we return to Tignes. Unfortunately next year we have already booked for Les Arcs – let us know if you move there!! Hi Matt, thanks for teaching me those 3 days I learnt loads and I showed my dad how to jump. He tried off a jump an fell over in a bundle. Thanks again to Sean from Rebecca, Oliver, and Annabelle. Annabelle is still talking about Sam giving her a prize for winning best wipe-out in the race. She is very proud! Rebecca and Oliver had an “awesome” week skiing with Sean. The whole family had a great time in Tignes and we hope to return next winter. Hi Matt, it has been a few weeks since we returned from skiing in Tignes….we all agreed how much we had benefited from your tuition and felt that once again we wanted to say a big thank you for the fantastic patience and support you gave us all.